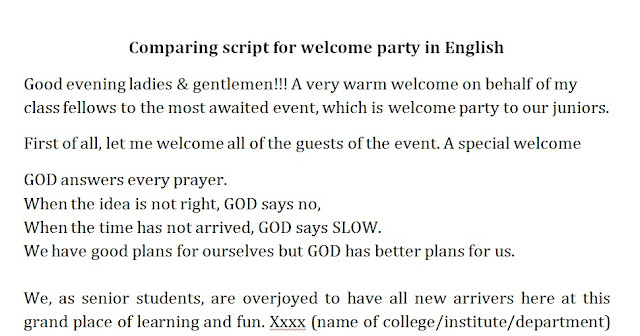 Here is a complete anchoring script that let you begin with your hosting a welcome party at your college university. 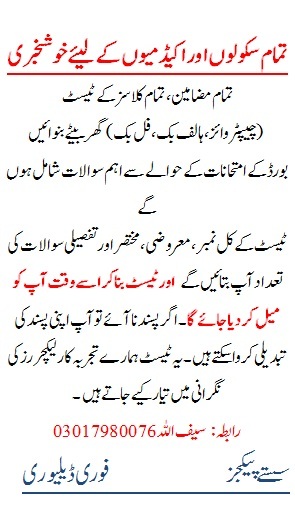 The anchoring script is a PDF file OR you can request a .doc (MS Word) file to modify according to your needs. The script is just a helping material to begin with and to let your start your party hosting/ anchoring with a nice style and good words. 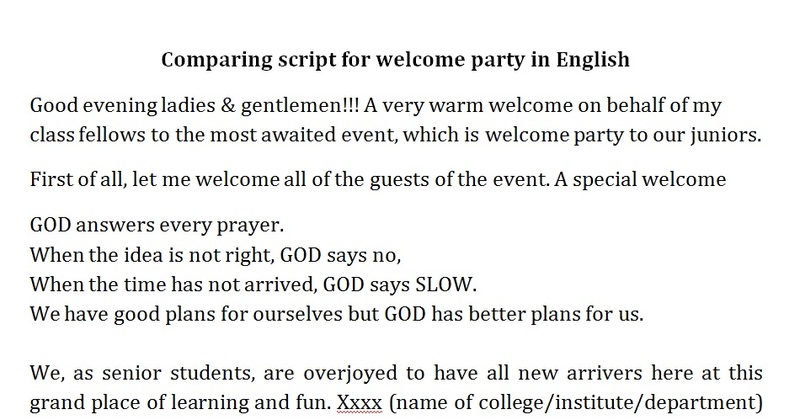 Along a good script, you have to prepare yourself for the event hosting. You must see some important things that can give success to your anchoring. I have written some tips to prepares for this event. You might study these tips here before your download the script. and So if you want to have it in PDF of Word format, Please subscribe and you will also get a free E-book on this Subscription as a Gift form us. please give real comments. No spams.